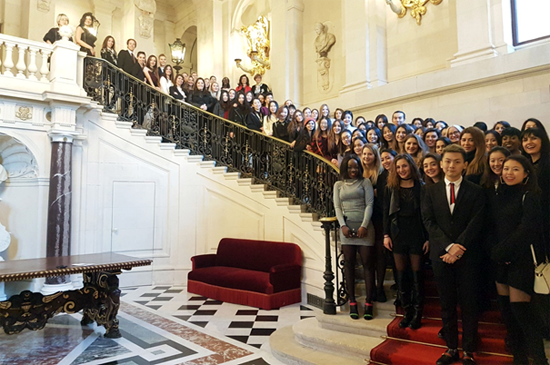 Students on the MSc Fashion, Design and Luxury Management from the Grenoble campus recently spent their faculty-led study trip in Paris. During a week packed with company visits, lectures and excursions, students were able to build upon the theoretical knowledge they have gained during the program and gain a privileged insight into the fashion and luxury industry. The first day began at the beautiful Baccarat Museum where students learned everything about the history and crafting of crystals and a enjoyed a guided tour of the museum. This was followed by a guided visit of the Jacquemart Andre Museum and the discovery of its celebrated art and past. Day two of the trip was spent visiting the famous “Bon Marché” which included an exhibition of Chiharu Shiota’s art work. Next stop was the prestigious “Ecole Ferrières” where students were divided into groups to visit this impressive mansion and its wine cellar. For many students the highlight of this visit was learning about ‘French Etiquette’ over dinner and the opportunity to ask their questions to the Director of the School. A main focus of the week was Louis Vuitton. Students began by discovering the LV Foundation and its art work and the next day took part in a dedicated Louis Vuitton workshop on the GEM Paris campus, attended by key representatives from this famous luxury house. 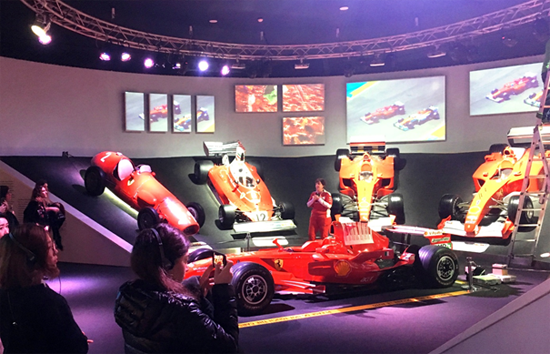 Students on the MSc Fashion, Design and Luxury Management from the Paris campus also enjoyed a very successful study trip to Milan, Italy in February. Highlights of the trip included company visits to Loro Piana, Acqua di Parma, Louis Vuitton, Ferrari and Parmigiano Reggiano. On June 18th, the Financial Times released the 2018 pre-experience Master in Finance’s ranking. Our MSc Finance is ranked 16th worldwide (+5 ranks), 13th in Europe (+4 ranks) and 6th in France.